Commemorates anniversary of uprising against crown that became signature moment of French Revolution Don’t put away the enthusiasm for everything red, white, and blue just yet. Historian Eric Washington will lead a special tour of the Morris-Jumel Mansion, Manhattan’s oldest house, with an emphasis on Madame Eliza Jumel. The Napoleon sympathizer tried to create a “Little France” movement in Harlem in the 1800s. This weekend is Bastille Day, and uptown will be full of joie de vivre and francophones celebrating the birth of modern France on its national holiday. Author and historian Eric Washington will lead a special tour of the Morris-Jumel Mansion, Manhattan’s oldest house, as well as the Trinity Church Cemetery, with an emphasis on Madame Eliza Jumel. The Napoleon sympathizer tried to create a “Little France” movement in Harlem in the 1800s. Two of Harlem’s French-inspired eateries will also throw a little soiree to commemorate the anniversary of the uprising against the constitutional monarchy during the French Revolution. Fireworks light up the sky at the Eiffel Tower in Paris, Friday, July 14, 2000, as part of the Bastille Day celebrations. France’s national celebration commemorates the storming of the bastille, the uprising against the constitutional monarchy that became a signature moment of the French Revolution. Cedric French Bistro and Bar will celebrate with a Brunch Party starting at 11 a.m., and the bubbly will continue until 5 p.m. Maison Harlem will serve up crepes, live music, swing dancing and a $17.95 dinner and wine special, choice of fish or hanger steak. Other French dining options uptown include ever-popular Chez Lucienne (308 Lenox Ave.), Yatenga Bistro and Bar (2269 Adam Clayton Powell Jr. Blvd.) with its beloved Mussels Provençal, and Les Ambassades (342 Lenox Ave.), which serves up tastes of Senegalese-influenced Parisian cuisine. Bon appétit! Call Me Madame: Eliza Jumel’s Bastille Day Tour, Start at the Morris-Jumel Mansion 65 Jumel Terrace and W. 160th St. in Harlem, (212) 923-8008, July 14, 11 a.m. For info, visit http://www.mas.org Bastille Day with Cedric French Bistro, 185 St. Nicholas Ave. and 119th St. in Harlem, (212) 866-7766, July 14, 11 a.m.-4 p.m. For info, visit http://www.cedricbistro.com Bastille Day Celebration at Maison Harlem, 341 St. Nicholas Ave. and 127th St. in Harlem, (212) 222-9224, July 14 noon-midnight. 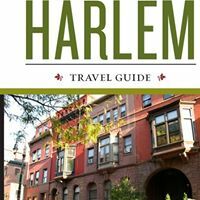 For info, visit http://www.maisonharlem.com Chez Lucienne, 308 Lenox Ave and W. 125th St. in Harlem, (212) 289-5555, July 14, 11a.m-11 p.m. For info, visit chezlucienne.com Yatenga, 2269 Adam Clayton Powell Jr. Blvd. and W. 134th St, (212) 690-0699, July 14, 10 a.m.-midnight. For info, visit http://www.yatengabistro.com Les Ambassades, 342 Lenox Ave. and 127th St in Harlem, (212) 866-9700, July 14, open until 11 p.m. For info, visit patisseriedesambassades.com.